First Day Back at Chamlian! What a day! We welcomed back all of our bright and shining students today from what felt like a long summer to us without them! Students were welcomed inside to beautiful music as well as our loving faculty and staff who greeted them at the gates to wish them a spectacular new academic year. After arriving to school, students were able to drop off their supplies within their classrooms and/or lockers and made their way down to the main courtyard in anticipation of the opening ceremony which marked the official start of the 2018-2019 academic school year. 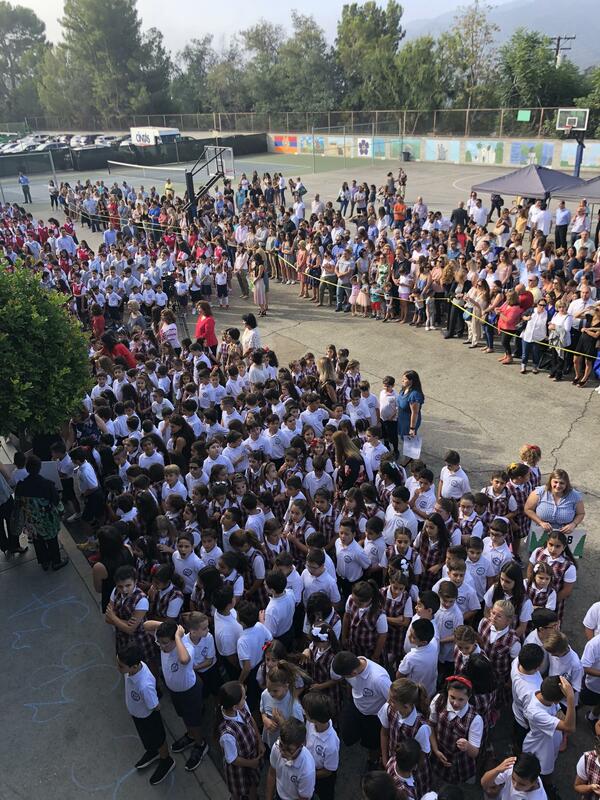 From inspiring speeches by Dr. Kargodorian, our Principal, as well as Ms. Kaprielian, our Vice-Principal, to a beautiful spiritual message and prayer delivered by our religious leaders, to our traditional 8th Grade and 1st Grade joint entrance and balloon release, it is safe to say today was an unforgettable and very touching way to start the new school year. After opening ceremonies, our students made their way to classrooms where they got acquainted with any new classmates they may have had the pleasure of meeting as well as their new teachers. It was smiles all around at Chamlian but, then again, it always is!